Chef Brad (You remember me talking about him right?) 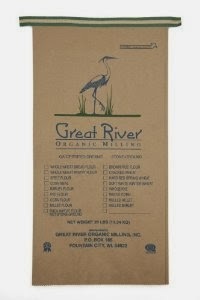 has created a wonderful blend of freshly milled flours that he has nicknamed Wonder Flour. Wonder Flour is composed of equal parts brown rice, pearled barley, and spelt. 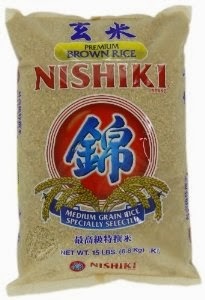 I have discussed the brown rice I used in a previous post found here and another previous post about spelt found here. I bought the above pictured Barley from Amazon here. Chef Brad talks about his Wonder Flour here. It is a wonderful blend of grains you could grind yourself or buy as flour. It can be a whole grain substitute for all purpose flour in cookies, cakes, and muffins. In the muffins I made today with this blend, I enjoyed the taste and it was not heavy like whole wheat can be. I highly recommend this blend of flours. I made my favorite chocolate chip cookies with wonder flour and I love the nutty flavor, plus they are still light and chewy!